The Harvest Woburn Ultra-Low Profiling Bed provides support for patients while minimising fall risk, but after long-term use, a spare part may be beneficial to ensure it stays in top working order. 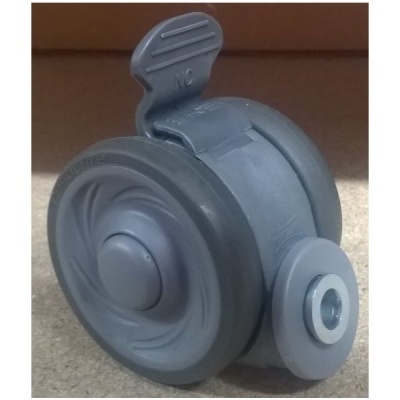 The Replacement Castor helps to maintain your bed's manoeuvrability, and is made to the same high specifications as the castors originally supplied with the bed. Supplied as a single castor, this is ideal as a spare or replacement part. Please note: This product includes one Replacement Castor only. To replace a full set of castors, you must order four of these.